When building your AIMS project in Infrastructure Studio, we tend to forget key components for user interaction. The component we’re discussing in this article is related to Printing. These values are in px. If needed, use this free website converter as needed. Type the new values in for width & height, then save the file. Go back into Studio and preview the results. Should match the values you specified. Scroll down to PaperList ID (See image below). 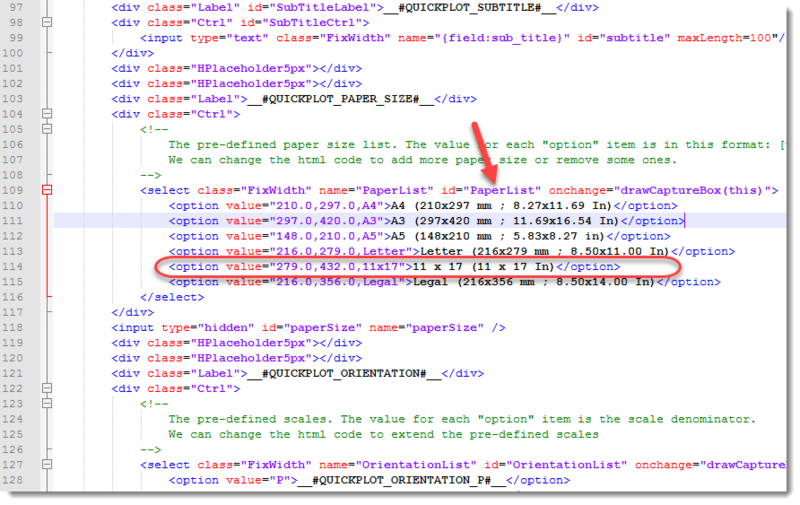 You can add a new page size by copy & paste of an existing option, then changing the Value and output text.